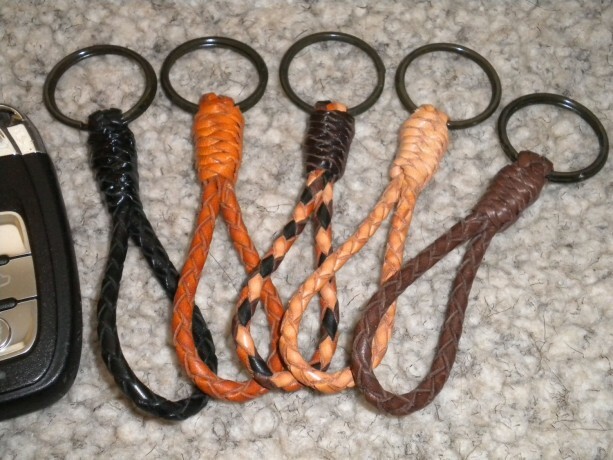 The Key’eeper keychain is hand braided in the USA using four strands of the finest quality premium full grain leather chosen for its strength and durability to create the round braided loop which is approximately 5/32” (.397 cm) thick. 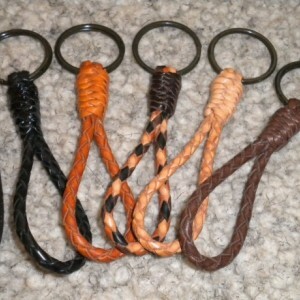 A 1" black key ring is added then the keychain is finished with a hand tied leather wrap. 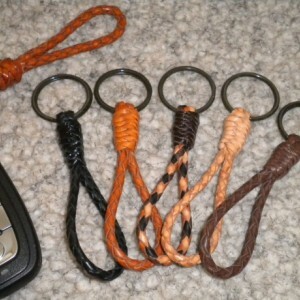 Overall length including key ring is 4" (10.16 cm). 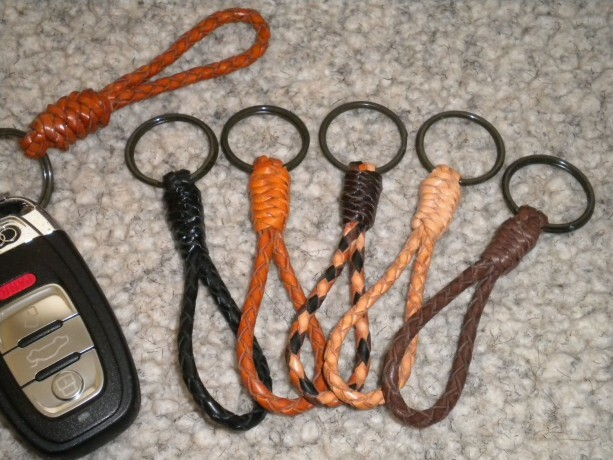 Fits easily into your pocket or purse, or carry by holding the leather loop. 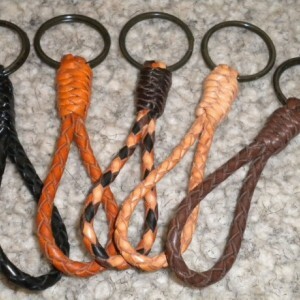 Leather loop is big enough to slip your fingers through for carrying but will not fit over your hand. Our use of high quality materials, handcrafted workmanship and attention to detail assures long life and lasting beauty. Makes a great gift! 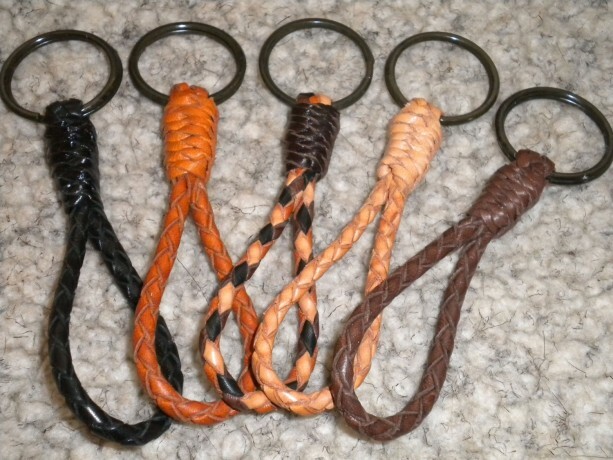 Colors: Black, Brown, Multi Color, Natural and Saddle Tan.